About Contact Shop Press Kit News! 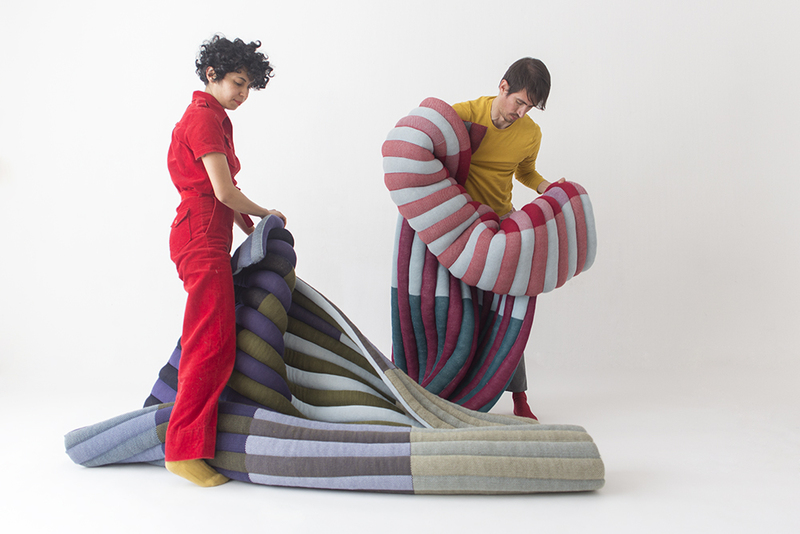 Oruga is a module of 150 x 200 cm, constructed with filled bands, all knitted. It forms rhythmic combination of colours and uneven lines. It can be reshaped to seat, sleep, read, cover up or lie down. It’s made to adapt actively to your body and find any kind of comfort on the floor with a warming touch. Made in Belgium. 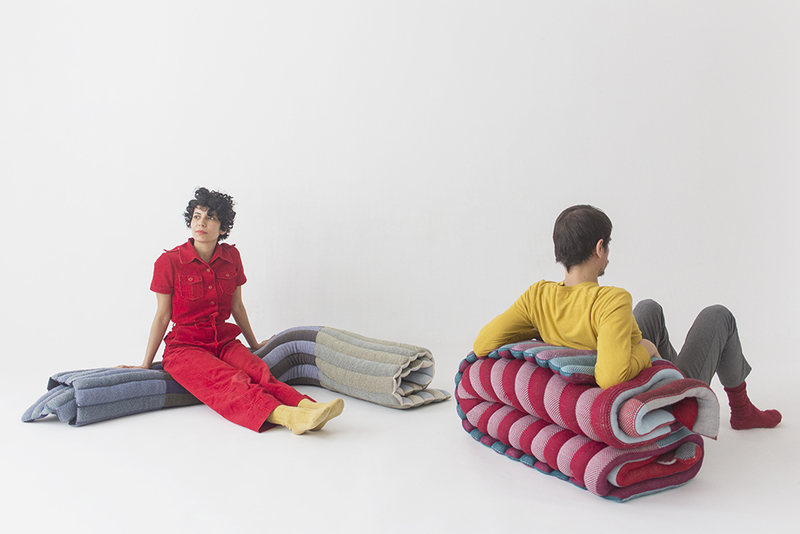 Ciempiés consists of knitted bands that build-up a module of variable dimensions. Each separate band can be weaved and knotted together to completely change its appearance and feeling. It’s a dynamic and creative piece open to the needs of each person and space. From a ball to a flat surface, you can always decide which shape suits you best. Made in Belgium.